Big Jim Sullivan was a giant among British session musicians. 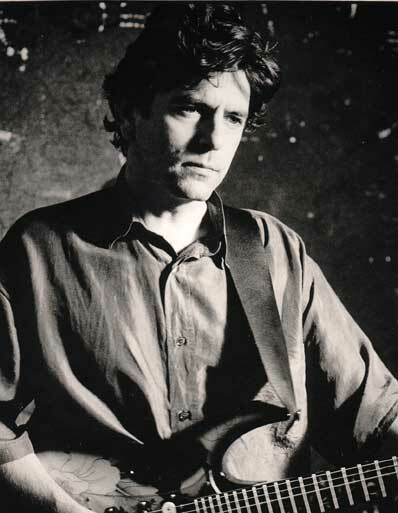 A guitarist of impressively wide stylistic talents, Sullivan was a professional in his teens, when he’d only been playing for a couple of years. After playing with early Brit rockers like Vince Eager and Vince Taylor, he met Marty Wilde and joined his band, the Wildcats. During this time, Wilde gave him what’s thought to be the first Gibson Les Paul to be owned by a British player. Sullivan soon found his way into session work, where his ability to play just about any style of music made him a godsend for producers, and a man constantly in demand. He played with Dusty Springfield, Shirley Bassey, Tom Jones, Frankie Vaughan, Billy Fury, Adam Faith, Frank Ifield and Cilla Black – so many pop and rock ‘n’ roll artists of the era, it’s easier to say who he didn’t play with. Visiting American artists sought him out, too: the Everly Brothers, Little Richard, Bobby Darin and Del Shannon. In 1977, Sullivan got the nod to join a Walker Brothers session. The “brothers” (the entirely unrelated Scott Engel, Gary Leeds and John Maus) had already made two albums since reforming in 1975, and with their contract with GTO records running down and Scott in particular unhappy that the band’s first two reunion records had not been artistically fulfilling, Engel, Maus and Leeds felt it was time to take some risks. This meant writing their own material rather than relying on covers as they had mostly done in both phases of their career. Scott truly rose to the challenge. His four songs represented the best efforts he’d made as a writer since the days of Scott 4 (Duchess, Boy Child, The Old Man’s Back Again, et al). The album’s finest moment was The Electrician. It starts with a tolling-bell-style bass, nicked from Bowie’s Warszawa, overlaid with the dissonant string chords Walker had been using since It’s Raining Today on this first solo album. During the song’s middle section, the band comes in and Walker unveils the voice that he’d increasingly rely on for the rest of his career – straining half an octave above a comfortable range, its unsettling, hard edge replacing the romanticism of his baritone range. The song is crowned by its exquisite string arrangement and Big Jim Sullivan’s short but masterful solo on classical guitar. A song about the CIA’s involvement in shady goings-on in South America in general and its use of torture in particular (the middle section is from the psychopathic point of view of the torturer himself), The Electrician is full of Latin signifiers – castanets, lushly romantic strings and, of course, classical guitar. Sullivan’s solo, then, beautiful as it is, is also the darkest of musical jokes – it’s the soundtrack to a torturer’s most sadistic fantasies. Rare indeed is the solo that advances, and ironically comments upon, the narrative of the song itself. For this, and many other reasons, The Electrician is a central work of the Scott Walker canon, and its solo deserves to be remembered as much as Sullivan’s celebrated, poignant lead work on Gilbert O’Sullivan’s Alone Again (Naturally) – also played on classical guitar. This entry was posted in Music and tagged Big Jim Sullivan, classical guitar, guitar solos, Marty Wilde, Nite Flights, Scott 4, Scott Walker, Session players, The Electrician, the Walker Brothers on April 2, 2019 by rossjpalmer. What Scott Walker meant to me is fearlessness, I think. Several times in his career, Walker took the brave, adventurous road when he could have had an easier time sticking to what history had shown to work. First he ditched his “brothers” to make solo records that reflected his new and growing love of Jacques Brel. And then he stopped recording Brel to focus on his own material exclusively. Then, after a humbling period in the seventies when at his record company’s insistence he made throwaway light pop records (containing recordings of songs like If and Delta Dawn) and a reunion with Gary and John that had seen them score a big hit with a cover of Tom Rush’s No Regrets, he ripped up the rule book once again to make Nite Flights. Yet, for all that Scott has been, and will continue to be lionised as an avant-garde talent, it’s worth remembering too just what a good singer he was. His wracked nobility on Make it Easy on Yourself, his bottom-of-the-ocean sorrow on The Sun Ain’t Gonna Shine Anymore, his distracted heartbreak on No Regrets, his provocative glee on Jackie, his simple tenderness on We’re All Alone* – Scott Walker would be one of the greats if we only knew him as an interpretive singer and he’d never written Montague Terrace (In Blue), Duchess or The Electrician. Ah yes, The Electrician. Somehow it does all comes back to that one. His music got darker than that song. It got weirder. It got longer. But in no other song did Walker find a more perfect balance between his need to give voice to humanity’s darkest emotions and his ability to give those feelings beautiful expression. The Electrician, from its first tolling-bell bass note, casts its spell perfectly every time I hear it. 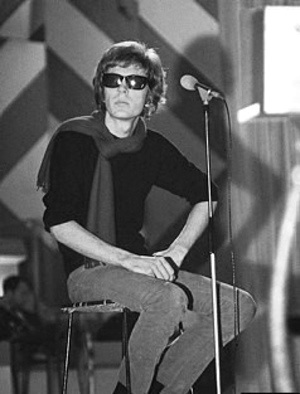 A fearless writer and a performer of technical and expressive virtuosity – Scott Walker was a true one-off. *Yes, despite what you may have heard he did make good music between Scott 4 and Nite Flights. Just, not consistently. This entry was posted in Music and tagged Duchess, Jackie, Jacques Brel, Make it Easy on Yourself, Montague Terrace (In Blue), Nite Flights, No Regrets, RIP, Scott Walker, The Electrician, The Sun Ain't Gonna Shine Any More, the Walker Brothers on March 27, 2019 by rossjpalmer.